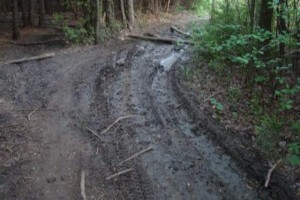 Extensive erosion caused by use of dirt bike and ATVs on the trail. Here’s your chance to give back to the Seaton Trail. We are planning some trail work on Sunday Oct 17, 2010 and we are looking for volunteers. We will be meeting at Rossland Road Trail head parking lot at 8:30 AM. The activity will take about 3 hours. 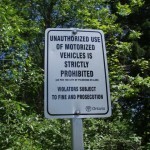 The issue is the un-authorized use of dirt bike and ATV’s on the trail. This activity has caused extensive erosion in certain areas. The Friends have discussed this issue with the land owner and managers of the Seaton Trail properties. The land managers (TRCA and DEL) have provided the poles, hardware and signs. 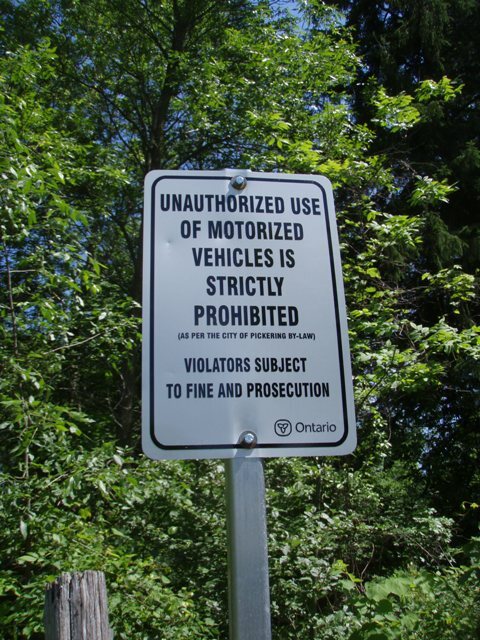 Our task is to install these un-authorized use of motorized vehicles signs on steel poles at various locations along section 1 of the trail. The poles are fairly heavy and we need 1 person per pole to carry them in. We have around 10 pole locations identified in section 1. We also need a few more bodies to carry the signs, tools and pole pounder. Step 1 was to put up the signs on trees (where available). You might have seen some of these in section 1 of the trail. Step 2 is to move some of these signs to the steel poles. 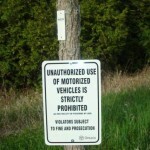 The poles will be positioned in clear view of these un-authorized use areas. Step 3 will be to get users to report issues via the Friends website. 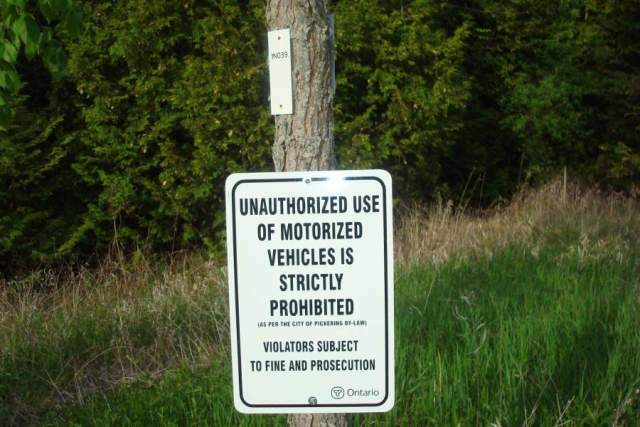 From these reports we can follow up with the Pickering by-law officer on enforcement actions to educate and eventually stop this trail damage. Please let us know if you can help out.